*cartoon puzzle is a free,colorful and easy game for kids. *cartoon puzzle game is very simple just run and play. 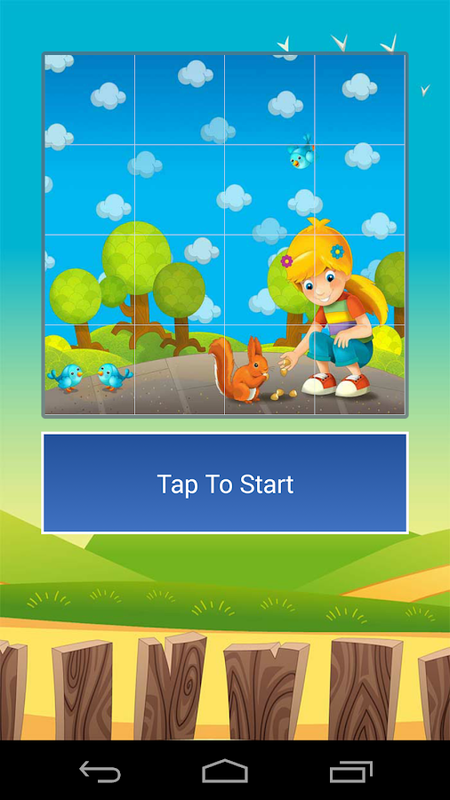 *cartoon puzzle game for kids Will make their minds more flexibleand develop their intelligence. *With this game you can now get some rest while your children enjoyplaying. *Your children will feel a lot of fun when playing colorful cartoonimages. *cartoon puzzle Includes a large collection of colorful andbeautiful cartoon images. *three levels to play (easy-normal-hard). *it is very simple game just drag the puzzle pieces to the rightplace in order to recreate the image. this application does not violate the copyright and does notclaim to it. most of the images are collected under license ofshutterstock.com. most of the sounds are collected under license of Creative Commons:by attribution 3.0.
if you feel that we violate your copyright please contact usdirectly. try the game for free and rate us with 5 stars. Jordan, Amman , Sport City , Ibn Zrik St.
حان وقت التسلية وتشغيل الدماغ الآن مع لعبة لغزوكلمة.يوجد عدد كبير من الالغاز والحزازير والاحجيات عليك حلها.يوجد أيضاً وسائل مساعدة يمكنك استخدامها حتى تتمكن من مواصلةاللعب.وأيضاً ستحصل على نقود يومياً تمكنك من حل الاسئلة واستخدام وسائلالمساعدة.لعبة شيقة تناسب جميع الفئات العمرية وتجمع العائلة وترسم على وجوههمالابتسامة.معظم الصور المستخدم موثقة تحت شهادة من موقع shutterstock.ابدأ بتحميل اللعبة والان وقيمها بما تستحق.نتمنى وقتاً ممتعا لكم.It's time toentertainment and running now with brain puzzle game andword.There are a large number of puzzles and Alhzazir and you solvepuzzles.There is also a means to help you can use so you can continueplaying.And also you will get money per day enables you to solve thequestions and the use of aids.Interesting game to suit all age groups and gathered family andpaint a smile on their faces.Most images are documented under the user certificate from thesite shutterstock.Start to download the game, and now and values ​​are worthincluding.We wish you a great time. Bubbles crush* Bubble Crush is amazing and very addicting game. * Smash the largest numbers of adjacent bubbles of the same colorto get more score. * we introduce Bubbles crush game in a simple way with threedifferent challenges.game types:in bubbles crush game we show three challenges:* classic challenge to get the highest score before lock theboard. * gravity challenge to get the target score with bubblegravity. * normal challenge to get the target with column of bubbles. * more than 600 levels. * try to crush more to get more points. * try to get three stars to be the best. * bubbles crush has a lot of features and game types to be suitablefor all ages. * lovely and cute user interface.this application does not violate the copyright and does not claimto it.most of the images are collected under license ofshutterstock.com.most of the sounds are collected under license of Creative Commons:by attribution 3.0.if you feel that we violate your copyright please contact usdirectly.try the game for free and rate us with 5 stars.thanks. Anime Puzzle*Anime puzzle includes a lot of Anime images for anime seriesand stories and anime films. *Anime puzzle is a funny and easy to play by drag/drop toregenerate an anime image. *Memorise the image will help you to get more stars. *There are e types of mesh (9 pieces , 16 pieces and 25pieces).this application does not violate the copyright and does notclaim to it.most of the images are collected under license ofshutterstock.com.most of the sounds are collected under license of Creative Commons:by attribution 3.0.if you feel that we violate your copyright please contact usdirectly.try the game for free and rate us with 5 stars.thanks. flower puzzle:*flower puzzle game includes alot of beautiful pictures ofspring flowers. .*flower puzzle is a fun and free game for all ages. 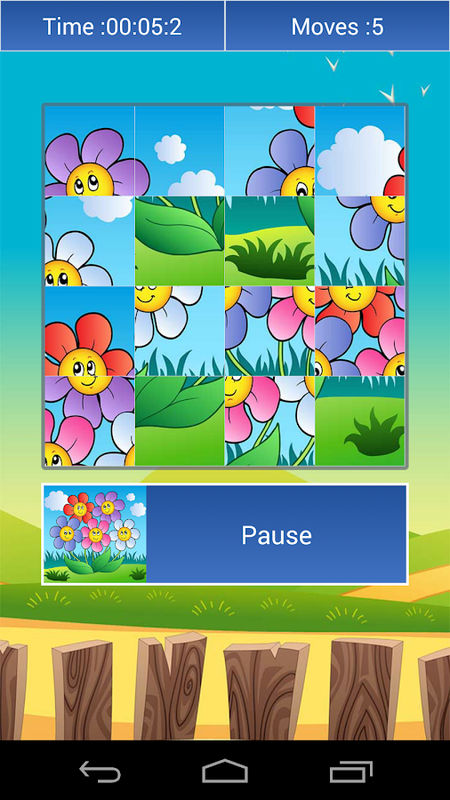 *flower puzzle game is good for people who like springflowers. *it is simple to use,suitable for the whole family to play. *simple design ,best user interfaces. *three levels for game play.how to play:*drag the puzzle pieces to the right place in order to recreate theimage.Note:this application does not violate the copyright and does not claimto it.most of the images are collected under license ofshutterstock.com.if you feel that we violate your copyright please contact usdirectly.Try the game now. rate as with 5 stars. Garden Design Puzzle* Garden design puzzle is a funny game withnice images. * There are three levels of games. * A lot of beautifulimages. * The game is very easy to use , just drag and drop. * Gardendesign puzzle is suitable for all ages.Note:this application doesnot violate the copyright and does not claim to it.most of theimages are collected under license of shutterstock.com.if you feelthat we violate your copyright please contact us directly.Try thegame now. rate as with 5 stars. Cartoon Jigsaw PuzzleHow to play? * Choose an cartoon image from a collection of cartoonimages. * Move the missing parts of the image to the correct place. * Easy to play.Game features:* improves mental skills for kids. * share the game with your friends on social networks. * for phones and tablets. * amazing user interfaces. * high definition cartoon images with a lot variation of partitionthe images.this application does not violate the copyright and does notclaim to it.most of the images are collected under license ofshutterstock.com.if you feel that we violate your copyright please contact usdirectly.download cartoon puzzle, for free and be sure your kids will beenjoyed while playing,and you can take a rest.Please, if you like the game, try our other wonderful games.rate us please with 5 star.thanks. cartoon puzzle:*cartoon puzzle is a free,colorful and easy game for kids. *cartoon puzzle game is very simple just run and play. 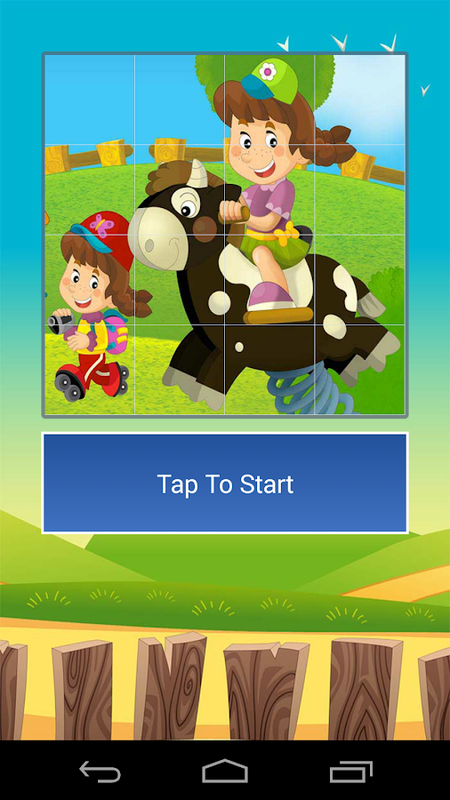 *cartoon puzzle game for kids Will make their minds more flexibleand develop their intelligence. *With this game you can now get some rest while your children enjoyplaying. *Your children will feel a lot of fun when playing colorful cartoonimages. *cartoon puzzle Includes a large collection of colorful andbeautiful cartoon images. *three levels to play (easy-normal-hard).how to play:*it is very simple game just drag the puzzle pieces to the rightplace in order to recreate the image.note:this application does not violate the copyright and does notclaim to it.most of the images are collected under license ofshutterstock.com.most of the sounds are collected under license of Creative Commons:by attribution 3.0.if you feel that we violate your copyright please contact usdirectly.try the game for free and rate us with 5 stars.thanks. sea life puzzle:*sea life puzzle is a fun and easy game for kids. 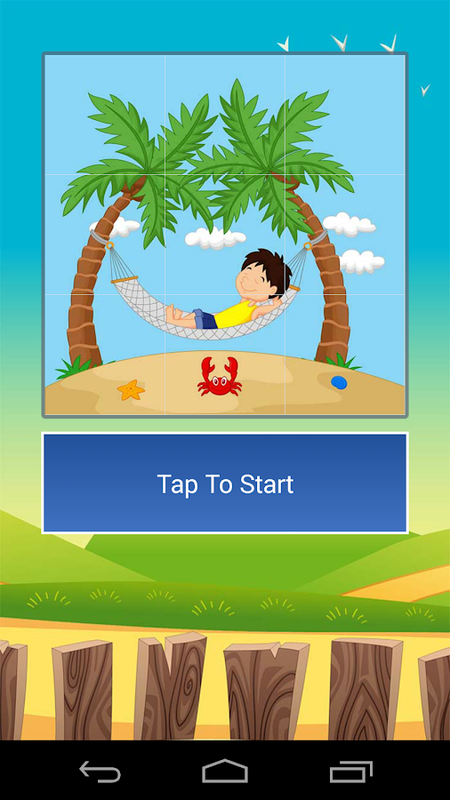 *with sea life puzzle game your kids will spend a lot of time greatand you can take a break. *Your children will learn about the life and marine animals. *sea life puzzle includes a lot of great pictures of seaanimals,beach,summer. *three levels to play (easy-normal-hard).how to play:*drag the puzzle pieces to the right place in order to recreate theimage.this application does not violate the copyright and does not claimto it.most of the images are collected under license ofshutterstock.com.if you feel that we violate your copyright please contact usdirectly.try the game for free and rate us with 5 stars.thanks. cake puzzle:*cake puzzle includes a collection of deliciouscakesimages. *If you're a fan of sweets this game will give some ideas formakingkinds of cakes with different flavours. *cake puzzle is a funny and easy game. *cake puzzle game is suitable for lovers of sweets with threelevelsto play (easy-normal-hard).how to play:*it is very simple game just drag the puzzle pieces to therightplace in order to recreate the image.note:this application does not violate the copyright and doesnotclaim to it.most of the images are collected under licenseofshutterstock.com.most of the sounds are collected under license of CreativeCommons:by attribution 3.0.if you feel that we violate your copyright please contactusdirectly.try the game for free and rate us with 5 stars.thanks. cat funny puzzle* Funny puzzle with simple user experience. * Try to recollect cat image parts to get the original image. * Drag and drop image parts to the right place. * Three levels of challenge. * Amazing and colorful images. * High definition user interfaces.Note:this game does not violate the copyright and does not claimtoit.most of the images are under license of shutterstock.com.if you feel that we violate your copyright please contactusdirectly.start downloading the game and rate us with 5 stars if wedeserveit.thanks. Stories Puzzle:*Stories images puzzle includes collection of images ofoldstories. *Stories puzzle is a funny and easy game. * Stories puzzle game is suitable for lovers of stories withthreelevels to play (easy-normal-hard).how to play:*the game play is very simple and easy by drag the puzzle piecestothe right place in order to recreate the image.note:this application does not violate the copyright and doesnotclaim to it.most of the images are collected under licenseofshutterstock.com.most of the sounds are collected under license of CreativeCommons:by attribution 3.0.if you feel that we violate your copyright please contactusdirectly.try the game for free and rate us with 5 stars.thanks. 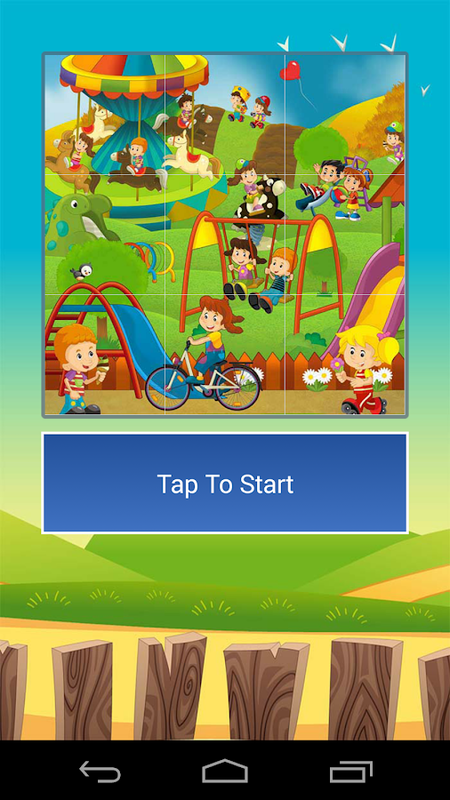 kids tile puzzle*kids tile puzzle with nice images of kids while they areplaying. *three levels ( easy 3*3 - normal 4*$ - hard 5*5 ). *beautiful user interfaces. *game play by drag and drop.this application does not violate the copyright and does notclaim to it.most of the images are collected under license ofshutterstock.com.if you feel that we violate your copyright please contact usdirectly.try the game for free and rate us with 5 stars.thanks.